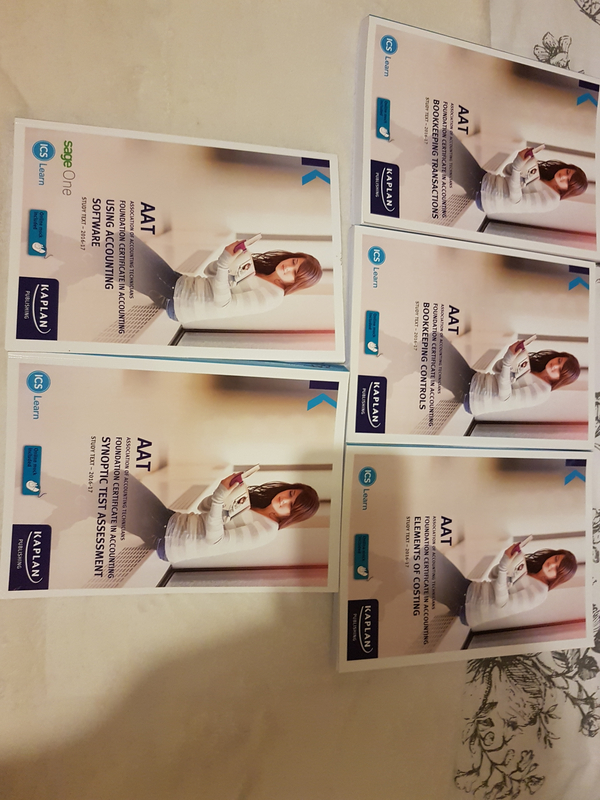 AAT level 2 study books for sale in perfect condition, £12 each. Please contact me if imterested. Books in the picture attached. I would have to check with the post office how much the postage costs, but if you are interested in buying all of them I surely can make an offer. Is there anyway to private message you?